As a 501 (c) (3) nonprofit organization, UKRO relies on donations and community support to help fund kidney research. Your donations are tax deductible and will go toward cutting-edge medical research at the USC/UKRO Kidney Research Center (KRC), where our growing research team is exploring new preventative treatments, therapies, and potential cures for kidney diseases. Research focus at the KRC includes stem cells and regenerative medicine, acute kidney injury, hypertension, polycystic kidney disease, acid regulation, kidney cancer, and more. We have made an initial $3.5 million pledge to make this cutting-edge kidney center a reality. USC’s Keck School of Medicine has not only matched our pledge, but has exceeded it by a factor of three. We are very appreciative of USC’s commitment, and we need your help to fulfill our promise and reach our fundraising goal. Please support the KRC and bring hope to millions of kidney patients and their families waiting for a cure. Let’s wipe out kidney diseases together! To donate online: Please click the Donate button at the top of our website. For more information, please email info@ukrocharity.org. To donate while you shop: UKRO has partnered with AmazonSmile, providing you with an easy way to shop, give, and save. You will enjoy the same selection of Amazon.com products and low prices and we’ll receive .5% of the price of eligible purchases. Click the AmazonSmile link on the right to get started. 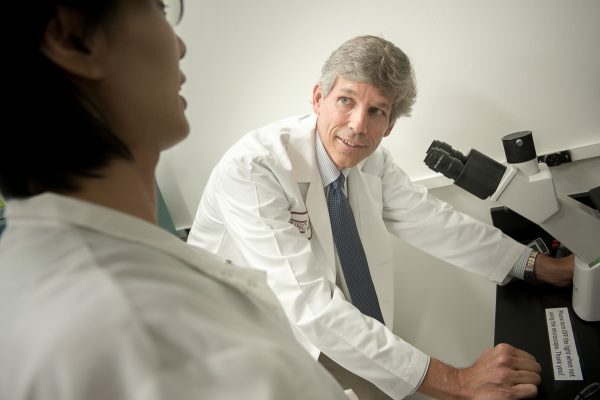 Learn more about the USC/UKRO Kidney Research Center.